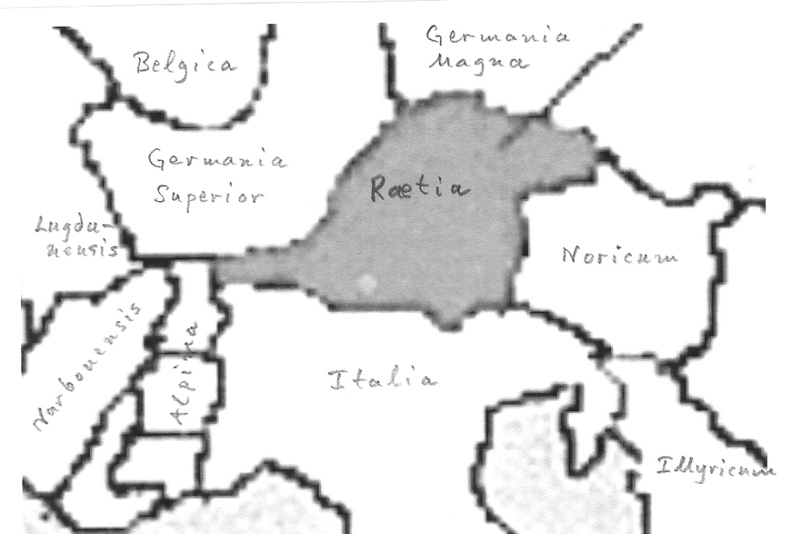 Raetia was a Roman province north of the Alps. At its peak it encompassed the country between the Bodensee and the Danube. 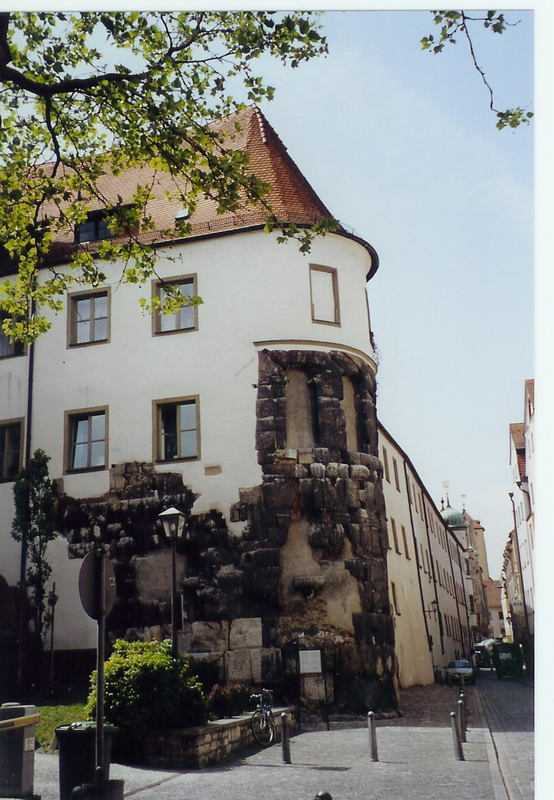 Nowadays that means parts of Austria, Switzerland, Baden-Württemberg and Bavaria.To the north and west the whole frontier against the free Germania was marked by a fortification line, the Limes, recently designated to a world cultural heritage of Unesco. 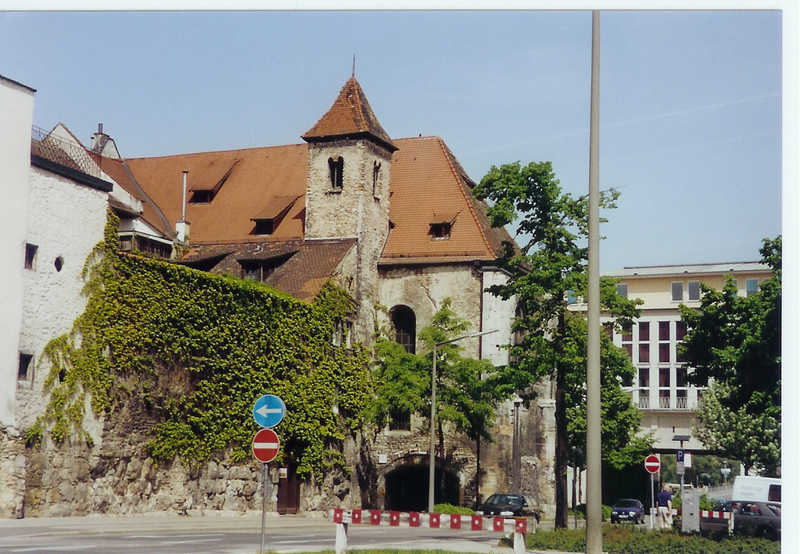 - Some important towns in Raetia were Augsburg (Augusta Vindelicorum), Regensburg (Castra Regina), Kempten (Cambodunum), Aalen (Alae) and Partenkirchen (Parthanum). The Roman conquest started in the year 15 B.C. during the time of the emperor Augustus and the frontier moved northwards until 180 A.D. when, during the reign of Marcus Aurelius, a Roman legion was stationed in Castra Regina on the Danube. Peaceful periods were followed by less peaceful ones when German tribes ran over the frontier territories, and it all ended with the collapse of the western part of the Roman Empire in 476 A.D.
During the times of the emperor Marcus Aurelius Castra Regina became a very important town on the frontier that followed the river Danube. Since then it has met with many changes and been covered with layers of other towns. The river Danube is probably the most unchanged factor of the neighbourhood, so far. 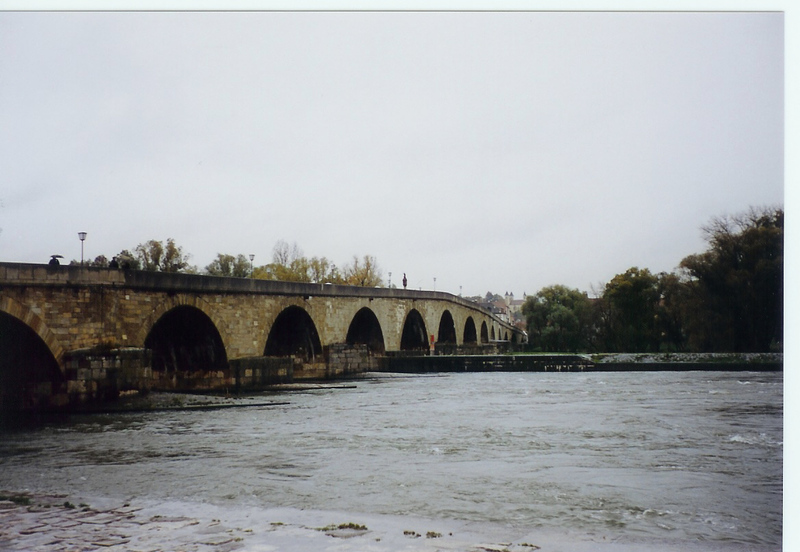 The bridge, although old, is of a later date. 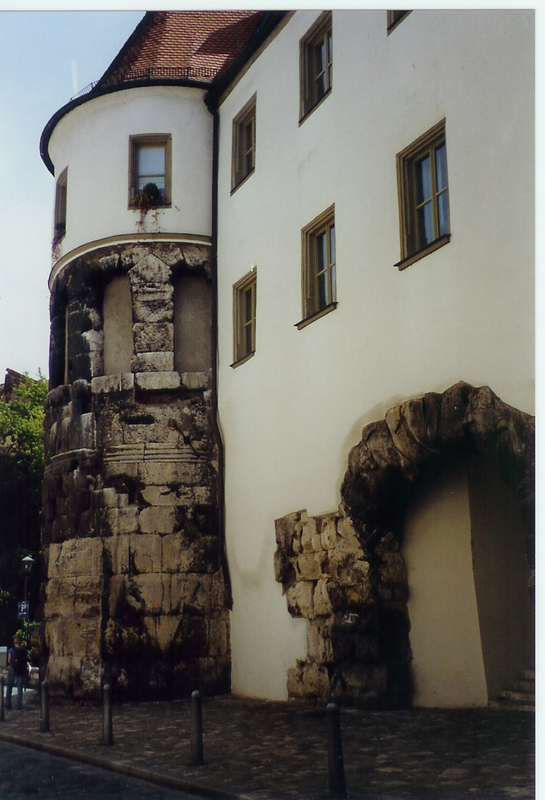 This is what is left of the Porta Pretoria and a fragment of another wall.The museum is very fine but you cannot take photographs there.